We offer this course by Classroom and Online. You may register online, by phone with a credit card, or mail your deposit to the administration office. One-on-one tutoring is available. Contact the school for price and availability. receive approval of your state application. complete and pass a state approved 63-hour course. You do not need to be a Florida resident. It will take 4-6 weeks on average for the state to process and approve your application. If you fail the exam, you may retake it as many times as necessary, at a cost of $36.75 each time, as soon as you can make a new appointment. For more details, please call us at (727) 526-5338 or (800) 330-9411 or email us. You may apply for a refund prior to the 3rd hour of class. A full refund of the fees paid, (less the cost of materials issued by the school), will be provided if written request is received within six months of the start date of the original class. Materials or texts returned for refund must be in new condition and currently in classroom use. No outdated materials will be eligible for refund. 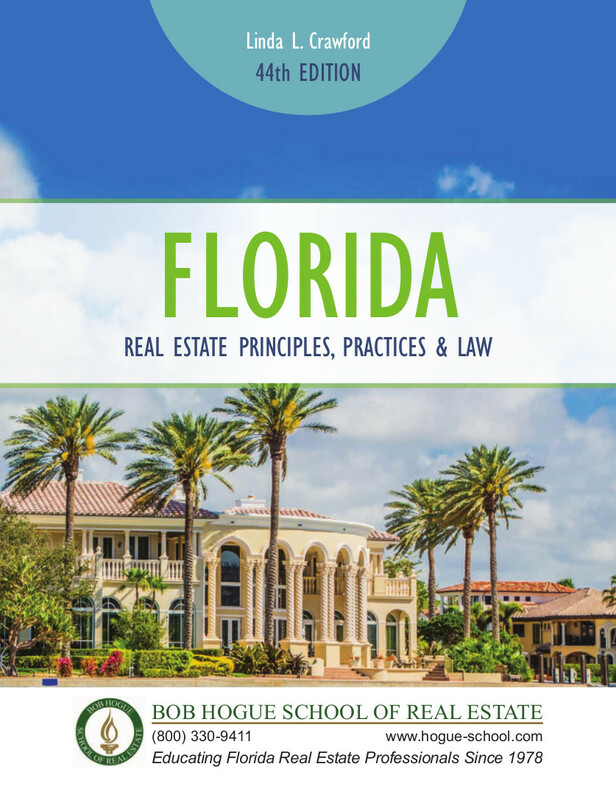 Florida Real Estate Principles, Practices & Law is the most trusted source for complete and accurate information about Florida real estate. 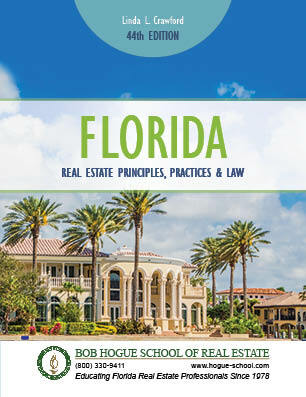 This best-selling text is updated annually to provide you with the latest developments in Florida law. -This text is included in the Sales Associate Prelicensing classroom course price. Enhance your understanding of each chapter of your textbook at your convenience. 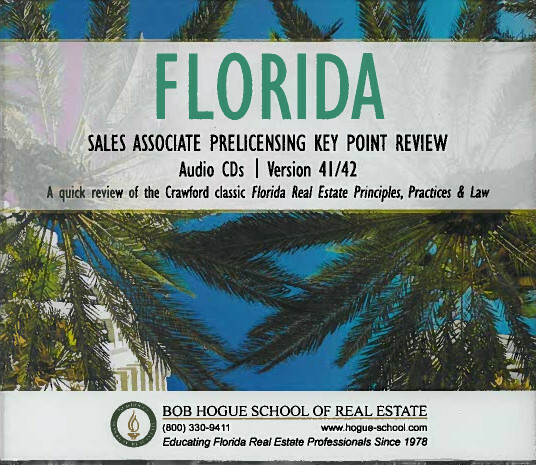 With the help of this 3 disc audio package, you can quickly review important real estate terms and concepts specific to Florida. Understanding real estate transactions is essential to passing the real estate exam and being a successful agent. 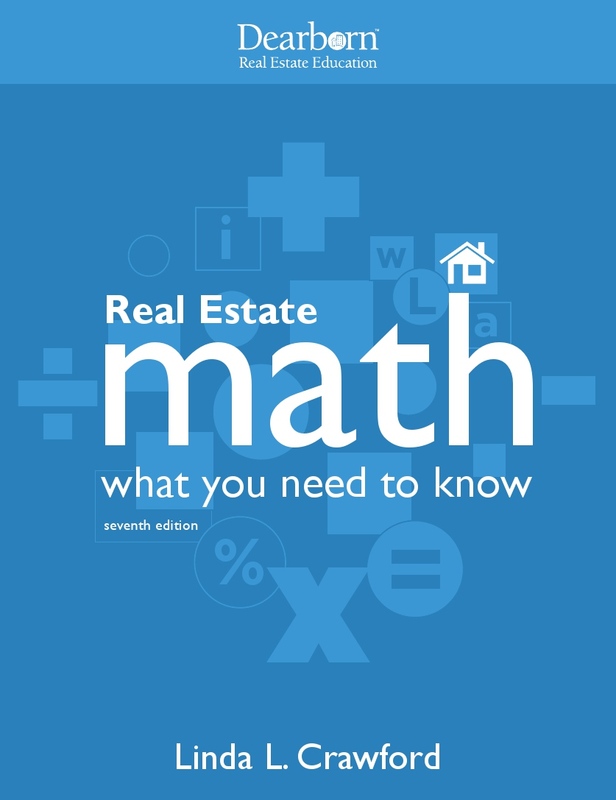 Real Estate Math will guide you step-by-step through every type of math problem you will encounter in your new career. 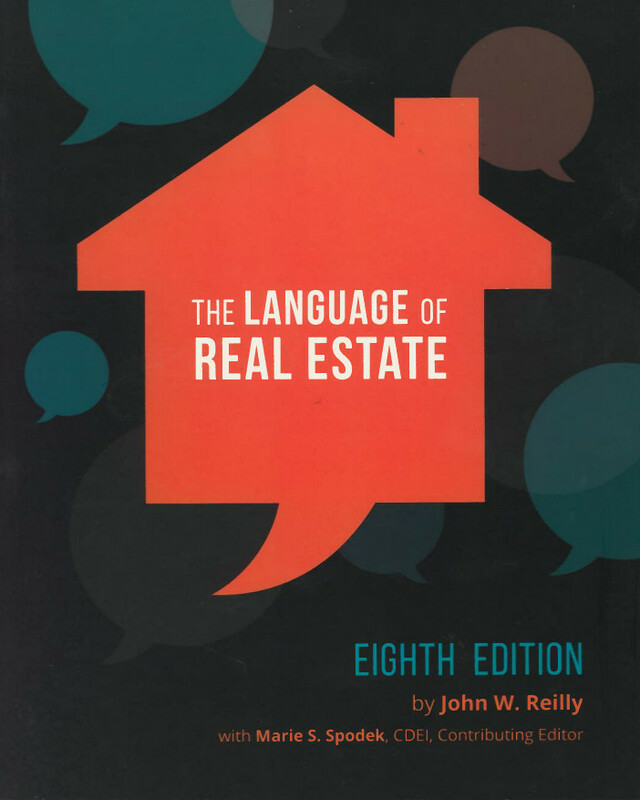 The Language of Real Estate defines over 2,800 terms to help you learn the real estate language. And it goes beyond just definitions! It has websites, abbreviations, Spanish key terms and also a closing problem. 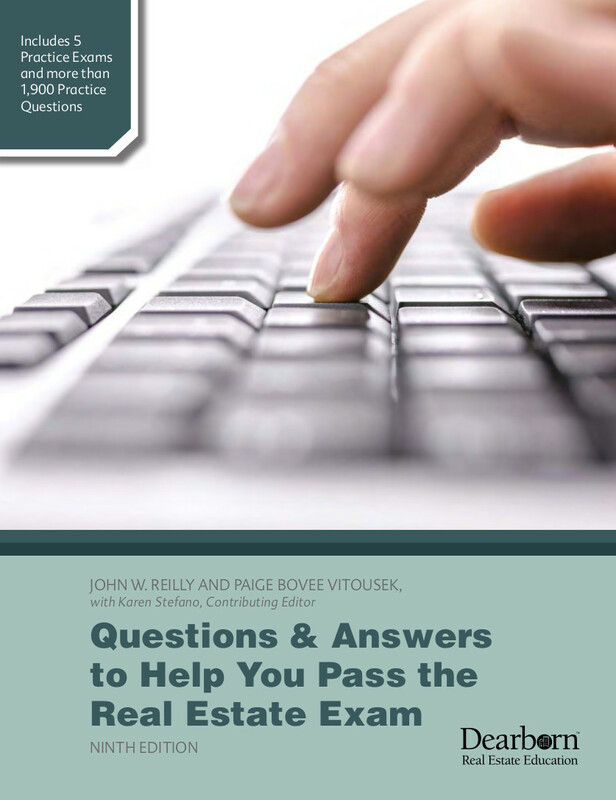 This text includes hundreds of practice test questions, fully explained and clarified. Also included are sample math questions and test-taking tips.